← Boston Globe Coverage, For Reals! If anyone follows me on Twitter, you already saw this but I had to included it and explain it on CarFreeBrad.com. I went to meet my dad at his golf club last night for diner. It doesn’t often work out that I can go when I get the invite so it was a nice surprise to be able to sit and break bread with the man. Yes, I got a ride with my GF because it, like most golf clubs, is in the middle of nowhere. It's the stripe that makes the outfit really POP!!! CarFree uniform but that’s another story. Of course, as we were about to leave the GF politely mentions/asks “Don’t they have a no jeans policy?” to which I believe I responded, YUP! I’m no rebel and actually quite enjoy following social convention but this is my uniform and I wear it everyday. It’s the principle of the thing. As soon as we walked in and I announced we were there for diner, it got awkward with plenty of side-ways looks and whispering(only by the staff) until finally a manager approached, explained that they have a strict “no denim” policy but he had some cover ups for me to where if I would like. I graicously accepted these new pants, apologized for my fopa and went to change. Meanwhile, the GF is dying laughing half because it’s hilarious and half because it’s awesomely embarrassing. It got really good when I unfolded me dining room approved “cover ups” to reveal that they are in fact Reebok warm up pants. Very nice warm up pants, black with a slick white stripe down the side of the leg. I really can’t complain because they were a comfort upgrade. 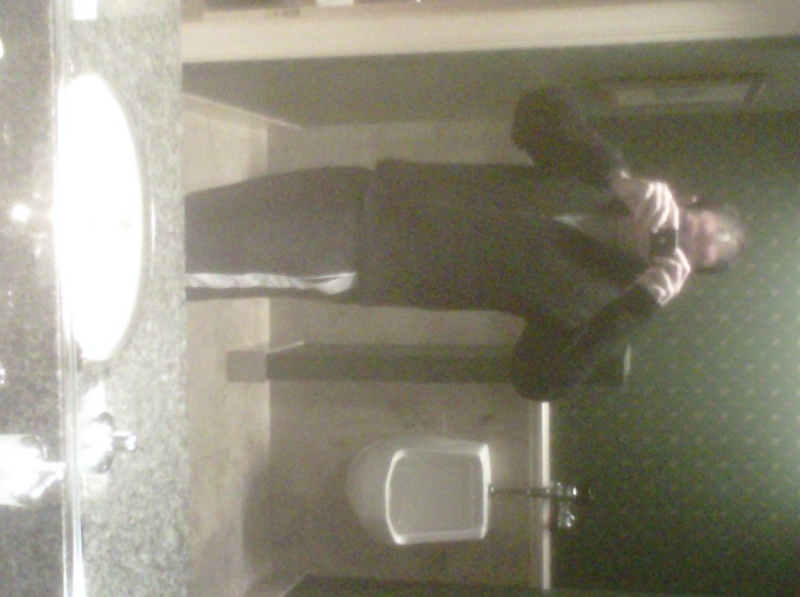 I went from mildly comfortable to totally comfortable and was also ready to go for a run as soon as I finished diner. This entry was posted in Car Free, Uncategorized, Urban Bike and tagged Awkward, Courses, Dress Code, Golf, Golf course, High class, Jeans, Reebok, Social Sciences, Sport, Twitter. Bookmark the permalink.